Securing Syrian Organizations with Cyber Security and Educational Capacity Building. 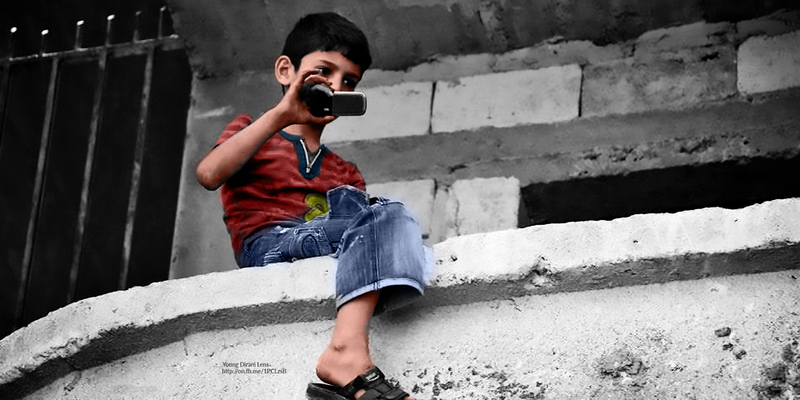 The internet is a lifeline for Syrian civil society organisations (CSOs). CSOs rely on the internet to organise, provide aid, teach women and youth, document war crimes and voice dissent. 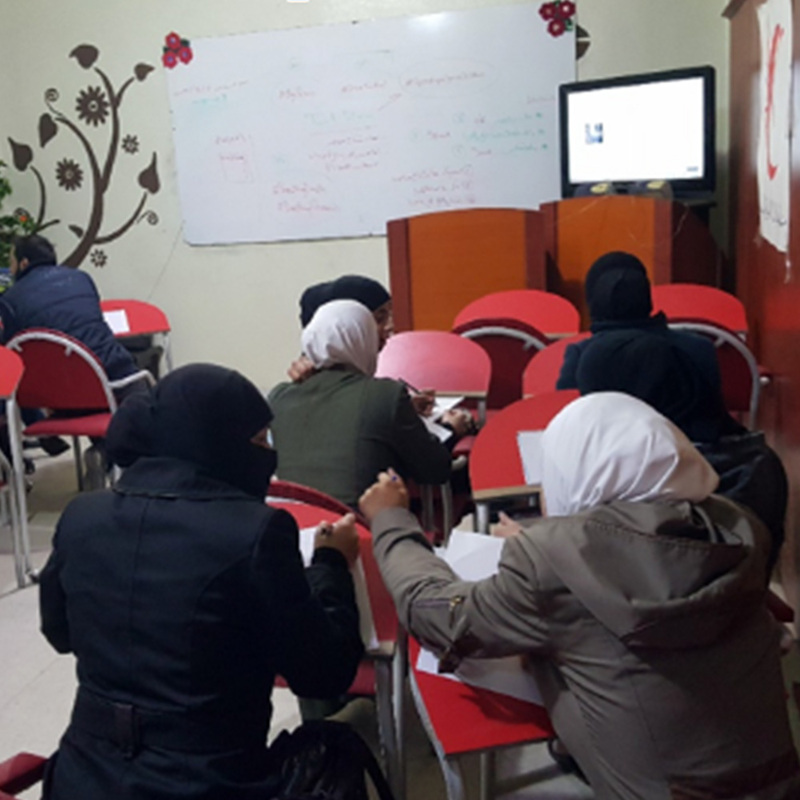 Our newly piloted Cyber Security and Remediation audits (CyberSAR) build the capacity of CSOs to protect their data,use the internet safely, and provide educational content to Syrian women and youth. Syrian humanitarian and community actors need the internet to function. Local NGOs are able to help people on the ground because they are backed by large, external NGOs. Access to a safe and secure internet is what makes this assistance work. Syrian civil society sees the internet as a lifeline for political freedom – to ensure that dissenting voices are heard, war crimes are documented, and communities can connect across the bloody divides of sectarian fear and hatred. The prolonged conflict has been extremely disruptive for education. 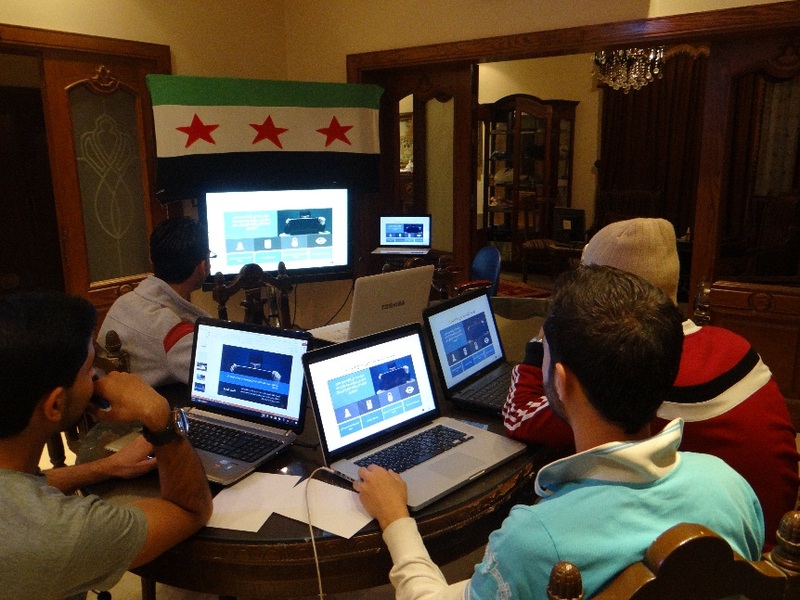 In providing women and youth with education, Syrian civil society has stepped up to fill this gap, using the internet. These groups are increasingly targeted through cyberspace by a range of state and non-state actors. A cyber-security breach can have serious cascading effects: operations can be compromised, information can be lost or stolen, staff members as well as partners and beneficiaries can be put at extreme risk. Non-violent Syrians must understand the risks posed online, and become better able to protect themselves. And yet, most CSOs — and their individual staff members — often lack adequate capacity to identify, respond to and mitigate the risks of operating within a digital warfront. Digital threats manifest across multiple and distributed channels, through targeted attacks, profiling of personnel and supports, and theft of sensitive information. SalamaTech can help. Through institutional audits, ongoing digital security training and remediation support, SalamaTech aims to provide Syrian CSOs with the tools, resources and information to protect their staff’s data and information while at rest and in transit in the field. At the same time, Syrian CSOs need support in finding and translating appropriate educational material to help fill the gap of more traditional learning institutions forced to close due to the conflict. SalamaTech helps to foster learning on digital literacy skills by finding, translating and preparing new learning material on related subjects, which our digital technology first responders introduce to Syrian CSOs. SalamaTech works with grassroots and established Syrian CSOs to respond to digital threats and emergencies, develop digital safety policies based on best practices for the Syrian environment, raise awareness about the threat of poor digital safety practices, and provide learning material. "On behalf of my staff, I thank you for this training. We have always suffered from viruses and infections on our devices. As you can see, we only have two devices that we use to connect to the world in order to ask for vaccines and other basic needs for our people amidst this chaos. Actually, we hardly knew anything about digital security, many thanks." - From a CSO servicing 2,400 mothers and children with special needs. This CSO has only two communication devices, but relies critically on social media to do its work. Their devices were ridden with malware before our IFC taught them how to clean their devices and use an antivirus software. "We need Salamatech’s assistance in creating and maintaining our digital security policies. We depend only on 12 devices to achieve our goals. Also, we need your help in creating a good social media presence that will encourage our students to talk about their achievements to encourage other young people to think about their future. People are hesitant to accept or participate in any civil society endeavours due to the long years of the absence of such initiatives in Syria. Our goal is to attract more young people and tell them that one day, there will be peace and that there is a role for them." "The audit was very helpful and the solutions and recommendations helped us overcome many obstacles that we were struggling with for a long time. We have a clear policy now regarding digital security now thanks to the help of Salamatech team. The audit team was very knowledgeable and they addressed all the issues that we did and did not know that we had in the organization."